Some of the Articles and research can be found on the videos and podcast page. The tapestry of exceptional female musicians has rarely been drawn together and I now wish to share with you a little about my historical predecessors as well as current notable female musicians. 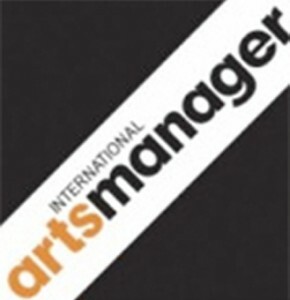 In the world of classical music only a few women have reached the zenith as conductors – Anne Manson was the music director of the Kansas City Symphony Orchestra, Sian Edwards reigned briefly as Music Director of the ENO, Jane Glover and Odaline de la Martinez both having international careers and conducted at the Proms. Those of you familiar with Vivaldi’s sacred music – The Gloria may know of The Schola Pietatis Antonio Vivaldi (Vivaldi’s Women) – an all female ensemble, who recreate the sound of Vivaldi’s Figlie di Choro, the foundlings from Venice’s Ospedale della Pieta. I have enjoyed conducting them in this beautifully created sound world and recording with Rhodri Huw, Micheal Surcombe and Marshall Marcus. 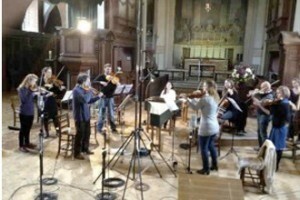 This became a one hour documentary for BBC 4 Vivaldi’s Women – being first broadcast in 2008. 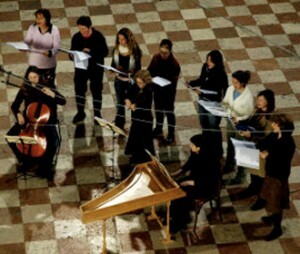 Vivaldi’s Gloria was then filmed for television for Sky Arts in February 2009 when Schola Pietatis Antonio Vivaldi recorded music for a Sky Arts series to accompany the publication of Peter Ackroyd’s book “Venice: Pure City”. Rachel Portman was the first female composer to win an Academy Award (Best Original Score) for the film Emma in 1996 and I would love Rachel as a British composer to compose some solo harpsichord music to capture the baroque spirit linking old and new, as I always relish the chance to perform and record contemporary music. A contrast to Rachel’s compositions would be the spiritual Third Leçons de ténèbres by Francois Couperin – such as the recording by William Christie and Les Arts Florissants Sung by Sophie Daneman and Patricia Petibon with Anne-Marie Lasla on bass viol. The Leçons are a series of three vocal pieces for high voices and continuo composed by Couperin for the liturgies of Holy Week in 1714. I particularly enjoy the vocal line and splendour of the opening of the third lecon by these female performers. The musical line continues with Lascia ch’io pianga from Handel’s opera Rinaldo, arranged by William Babell which I recently enjoyed researching and recorded on my solo harpsichord CD – Handel in Ireland which explores the journey that took Handel to Ireland in 1741. This is one of Handel’s amazing arias from Rinaldo which was among the earliest performances of this style of music in Ireland. Elizabeth Jacquet de la Guerre another baroque composer and child prodigy played the harpsichord at the Court of King Louis XIVth. Her opera Céphale et Procris was the first by a woman in France and a medal was struck in her honour. “With the great ( male ) musicians I competed for the prize”.Do listen to her Sonata No 1 in D minor pour le violon et pour le clavecin – by Florence Malgoire & Les Dominos. Catherine Mackintosh as a soloist and director of concertos for the Orchestra of The Age of Enlightenment recorded a CD of Italian Baroque Concertos. Catherine, as an inspiration to me with other leading female pioneer musicians of Early Music such as Alison Bury, Elizabeth Wallfisch, Margaret Faultless, Rachel Brown, Lisa Beznosiuk and Henrietta Wayne have been playing with this notable Orchestra supported by such other women thriving in the musical world as Caroline Dooley of Linn Records on whose label this CD can be found. Dr Jonathan Miller’s recent version of Bach’s St Matthew Passion at the National Theatre included my colleague Ruby Hughes who sang sublimely. Having won the Handel Singing Competition she gained a place on the BBC New Generation Young Artists scheme. I really enjoy seeing her flourish. Turning the clock back again to the Elizabethan era – harpsichords, virginals and spinets were greatly encouraged for women to play – do listen to Oxford’s letters narrated by Derek Jacobi on which I played The Earl of Oxford’s March by William Byrd inspired by Queen Elizabeth 1st and her virginal. I also enjoyed recording Elizabeth the Virgin Queen for the BBC and playing virginal music in costume for a film for Birmingham Museums and Art Gallery based on Vermeer’s paintings. Continuing the theme of notable female musicians Barbara Strozzi composed in 1651 La virtuosissima cantatrice Cantate, ariette e duetti, per 2 voci e basso continuo, op. 2 to be found on Deutsche Grammophon CD Lettere Amorse. She was said to be “the most prolific composer – man or woman- of printed secular vocal music in the Middle of the century” – Her output mainly contains secular vocal music and her lyrics are often poetic and well-articulated. However, as a Handel Scholar and regular conductor of his Great Works, I could not finish this article without the inclusion of Handel’s Messiah. Handel really understood how to write for the female voice. It is a truly epic work and many females have performed arias from it fabulously – including currently Sonia Prina and Katherine Manley. 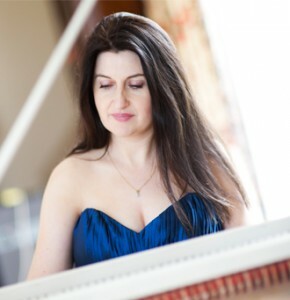 Bridget Cunningham is an international conductor and harpsichordist. She conducts ‘London Early Opera’ as well as other orchestras at venues throughout Europe. ‘I well know that you are a veritable she-devil, but I myself, I shall have you know, am Beelzebub, chief of the devils…’ and with that Handel swore he would throw his Italian soprano Francesca Cuzzoni out of the window if she continued to refuse to sing. Why did Handel call Cuzzoni a she-devil? Believing the aria wasn’t elaborate enough for her voice, Cuzzoni refused to sing a piece Handel had written for her; she was his favourite soprano who had wonderful sustain, trills, long lines, coloratura and messa di voce. He wrote music specifically for her voice. Stories such as this can be a great help to today’s singers when choosing repertoire. Written notes also give the listener signposts to engage with and provide a glimpse into how important these divas of the day were. I understand that online stores like iTunes, Amazon and eMusic serve the newcomer well for they are able to listen to free excerpts before buying. I believe, however, that these companies are less geared towards the enthusiast who hopes to delve deeper, helping them to understand something of the composer’s intentions or what influenced a performer’s interpretation. CD notes, especially if written by a conductor such as myself, seek to distil the concept behind the recording and historical background of a composition. They set the scene for the appreciative listener and bring a sense of drama to the personalities and social history of the time. It’s a chance to discuss and offer insights, such as ON my own CD HANDEL IN IRELAND and set out choices and details of music and instrumentation. All of this detail will enable the listener to journey more deeply into the music and the mind of the composer. The question is – where will this pursuit for downloads and enhanced sound quality leave the humble written recording notes? Will there be a consistent format for composition descriptions that will be attractive to digital purchasers? In my own experience translations of a libretto, which once appeared in the CD notes, for example those of Handel in early Italian influence my conducting and interpretation of the text, my consideration of ornamentation and colour – and subsequently inform the performance of the orchestra and singers. Last week, whilst recording Handel at the Vauxhall Pleasure Gardens (due to be released later this year) with the multi-Grammy award-winning producer Chris Alder and London Early Opera, I was looking at an aria from Handel’s Agrippina. 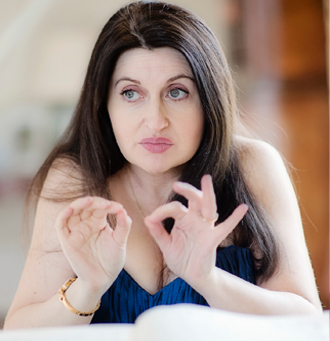 It was invaluable having a translation of the Italian recitative to hand, and informed my knowledge of how to calm the recit, to colour it and give an overall and contextual shape to the dreamy text before tackling the passionate aria Bel Piacere. Having translations readily available enabled me to compare the mood of the recit and it’s musical relationship to this excitable aria. Record companies now have the opportunity to reissue great quantities of their backlist as evidenced by Deutsche Grammophon who resurrected the albums of Pierre Boulez, or Maria Callas whose entire collection of operas were reissued by EMI for download only. For Handel and his contemporaries no recordings exist of their original performances – and despite this absence, the historically informed performances of today need to convey something of the intentions of the composer and original performers, in addition to simply replicating the sound. Listening to the music, I wonder how many people ever go to the record label’s website to read the “Insights” and “About the Album” paragraphs on their laptop – I know for certain that few of my musical friends have time to do this. Who now sits with CD notes in their hand, relaxed in a comfy chair with a glass of wine, and perhaps even a score of the music? Perhaps today’s wish is for an iPad version App to be able to sit back and listen to the music via AirPlay, and swiping through the album booklets on your iPad with your hands – this is close to how the CD notes were intended and may be another experience altogether. In this ever changing world assisted by technology, perhaps classical labels and download providers may read this article? I believe Spotify added this Spring new apps that let you access the music in various ways to build playlists – either pre-curated or automatic and include in the “curated” section are “The Complete Collection” and “The Legacy Of’. The former brings CD notes to digital music perhaps? I believe Tweetvine, Hot or Not, Filtr and PIAS build you playlists – and Spotify recently announced a new round of third-party apps, including Classify, an app designed to help users discover classical music on the service – The Complete Collection, which offers up supplementary images, lyrics and liner notes. In all, the download sites are rolling out monthly a dozen new apps. Where does this leave the lovely, accessible printed CD booklet and recording notes?? Perhaps a shift back to buying physical music recordings is overdue? 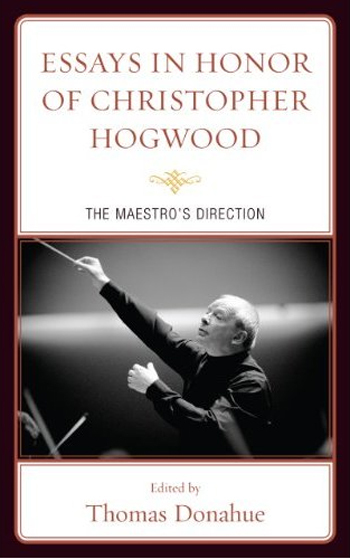 In Essays in Honor of Christopher Hogwood: The Maestro’s Direction, Thomas Donahue has collected several essays from authors who have been motivated and inspired by the distinguished keyboard player, music editor, writer, and conductor, Christopher Hogwood. As is clearly shown in the assembled articles, Christopher has had considerable influence in the latter half of the 20th century in advocating the historically informed performance of early music. Contributors include Bernard Brauchli, Gregory Crowell, Bridget Cunningham, Thomas Donahue, Sabine K. Klaus, Robert D. Levin, Darryl Martin, Annette Richards, Eleanor Smith, Tilman Skowroneck, Yo Tomita, and Richard Troeger. The volume begins with a foreword by Bernard Brauchli, followed by a chronology of Christopher’s education and career, including his publications and awards. The succeeding essays cover a variety of subjects associated with Christopher’s approach to early music, including the interpretation of composers’ notations, discussions of musical instrument construction and use, elucidation of performance traditions and conventions of the past, and analysis of the music itself.